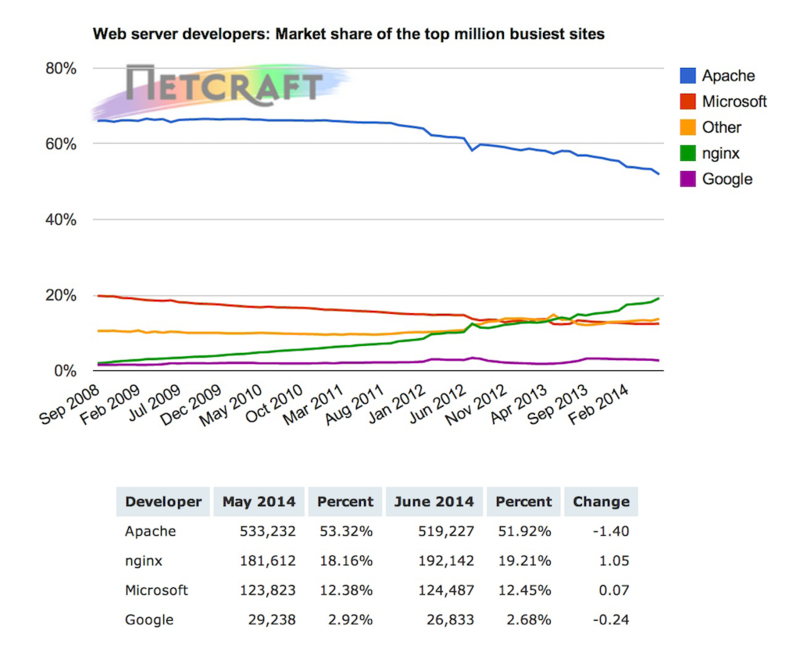 The last two months of data from Netcraft and W3Techs show some interesting changes. With some numbers up and some down, we need to focus on the numbers that reveal the real trends in the industry. 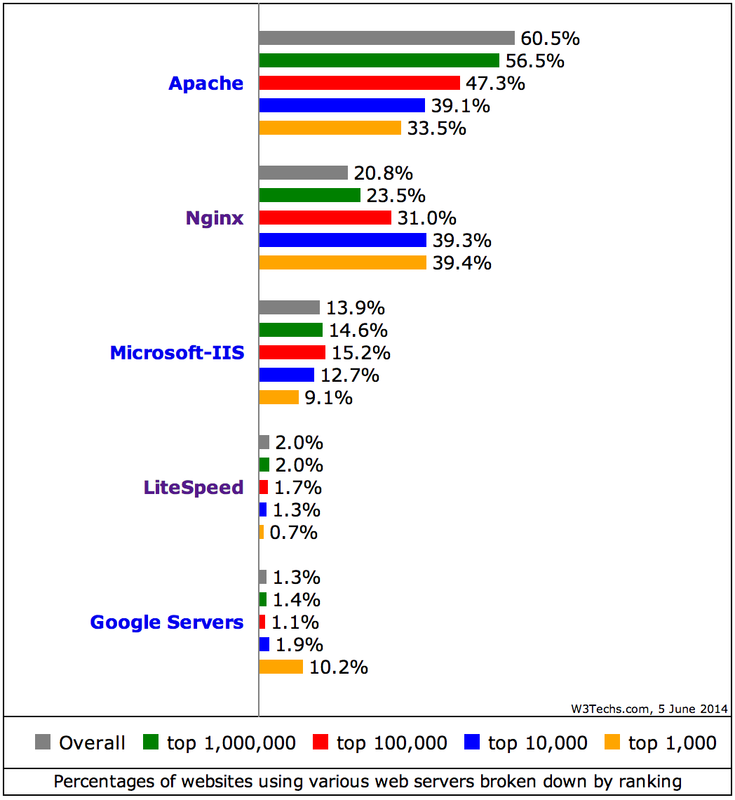 Netcraft also surveys a corpus of ‘active sites’, and again over the last 2 months, NGINX’s share is up over 0.5% (more than any other major web server). Netcraft’s active sites report tries to exclude duplicate, templated sites such as link farms and parked domains, instead only counting websites with a distinctive structure indicating unique content. 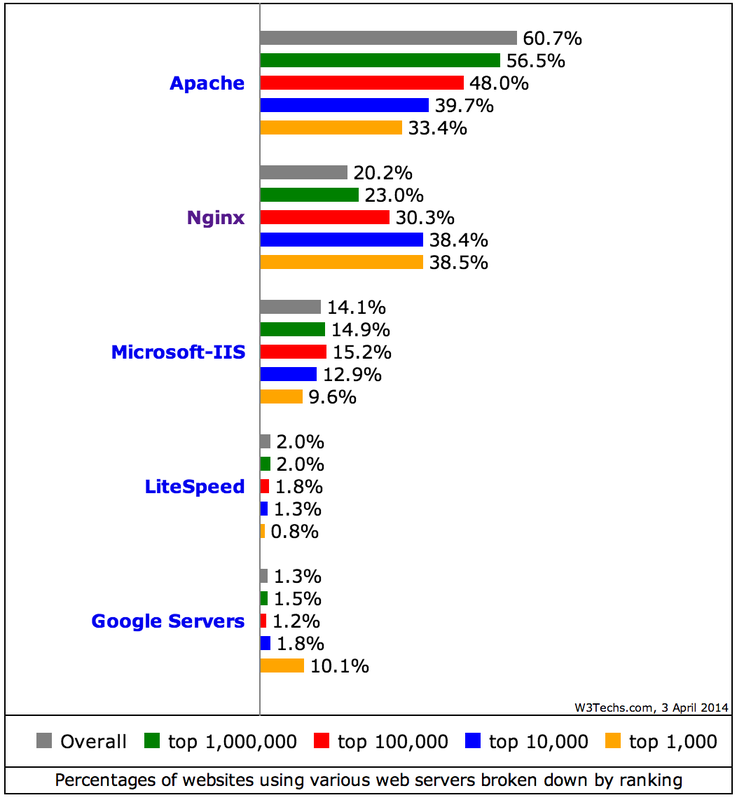 Changes at large hosting providers are motivated by many factors – changes to partnerships, moves to a more cost‑effective location, domain transfers between subsidiaries – and certainly don’t point to a large‑scale migration of users away from NGINX. What might have prompted this change? The Heartbleed bug possibly caused some companies to reassess their web infrastructure and take the opportunity to deploy NGINX, and the recent revisions of NGINX’s ‘stable’ branch might have encouraged others to upgrade. However, previous trend analysis has shown that the kind of growth reported in June is not a one‑off. 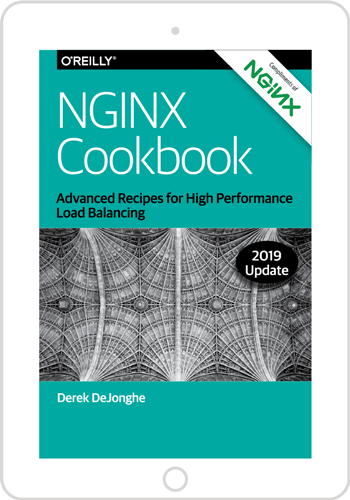 There’s a continual migration towards NGINX, perhaps because it deliver better performance, reliability, and consistency on existing infrastructure as well as new. The new commercial operations help too – they underwrite the future of the open source product.